What’s that? 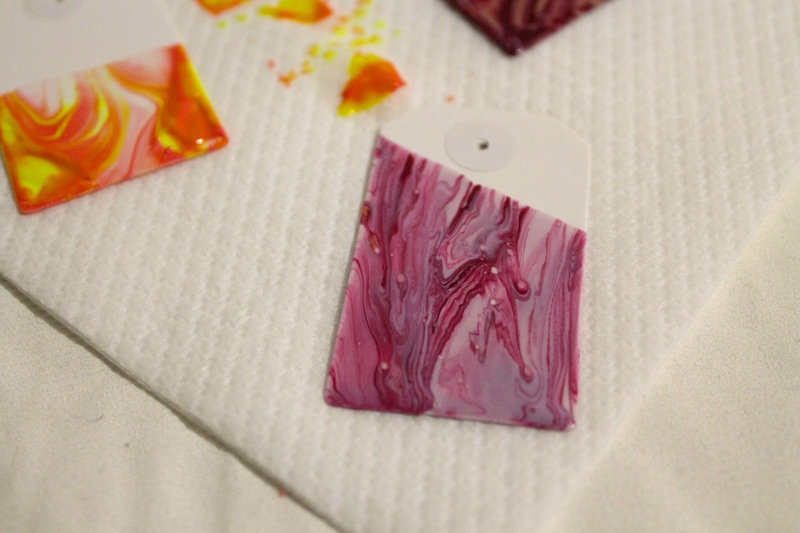 You can’t get enough of the Marble print trend? And you wish everything that you owned was covered in Marble? Well you’re in luck because we feel the same way. 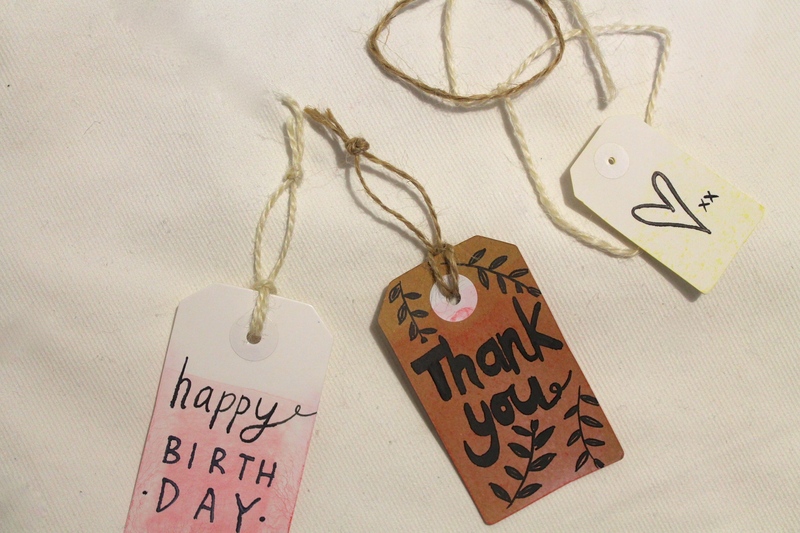 Last week, we posted another tutorial on how to get dipped Gift Tags, but if you’re looking for something a bit more challenging and even more unique and out-there, then you’ve stumbled across the right DIY. 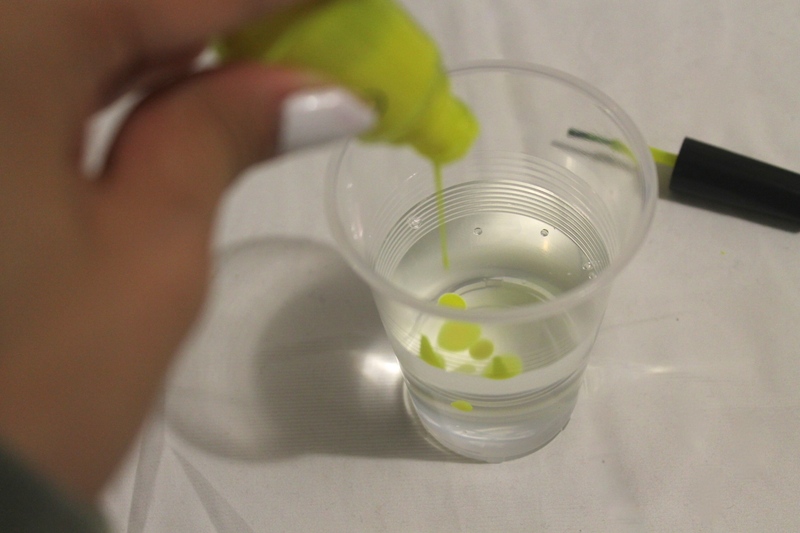 The first thing you want to do is pour your nail colors into your cup of water. Mix this up with a toothpick making sure there are not lumps! 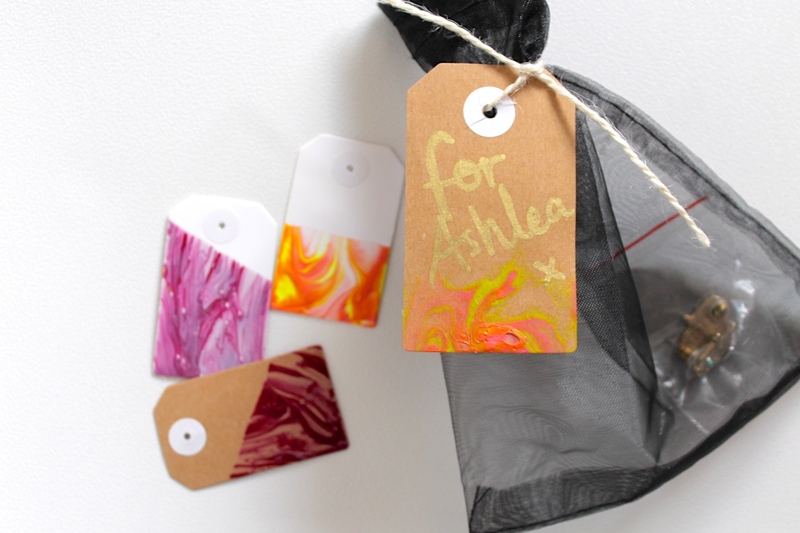 Dip your Gift Tag in the water as far as you want the marbled effect to go. 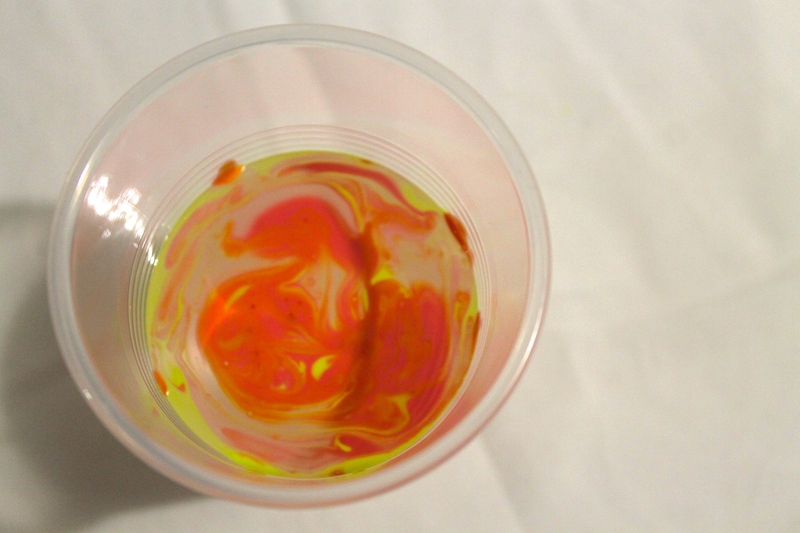 Remove from the water and when you’re happy with the print, let it rest on a Paper Towel. 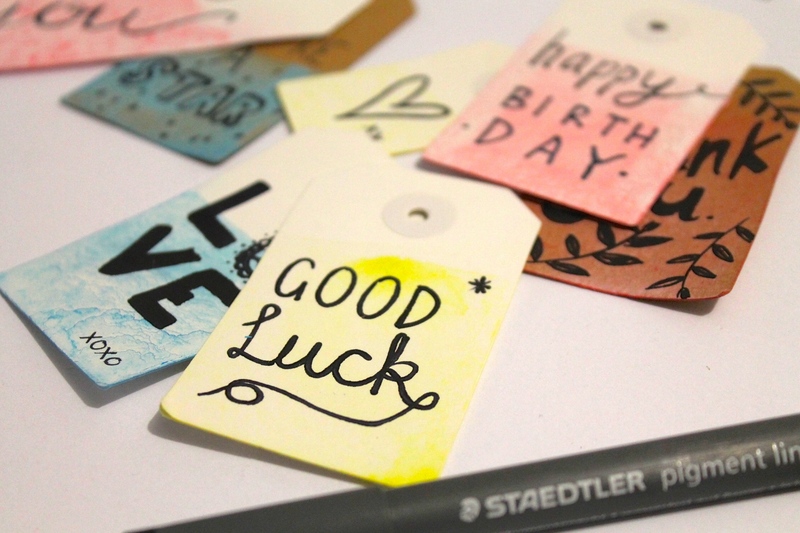 Once your tags are completely dry you can take a Marker of any color and write on your special message. Tie some string onto that bad boy and attach it to your gift. Then, you’re good to go! If you’re as obsessed as we are over the Marble trend and would love to see more Marble DIY’s, click these links! Got someone’s birthday coming up? Need to say a huge congratulations to someone close? Or you just want to tell that someone special that they’re awesome? 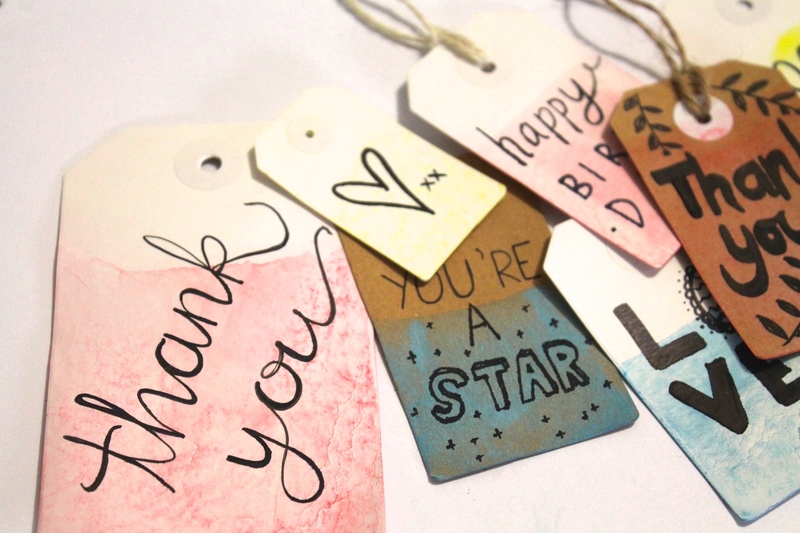 Put some thought and a touch of uniqueness into any ordinary gift with these DIY Dipped Gift Tags made with extra love and care. 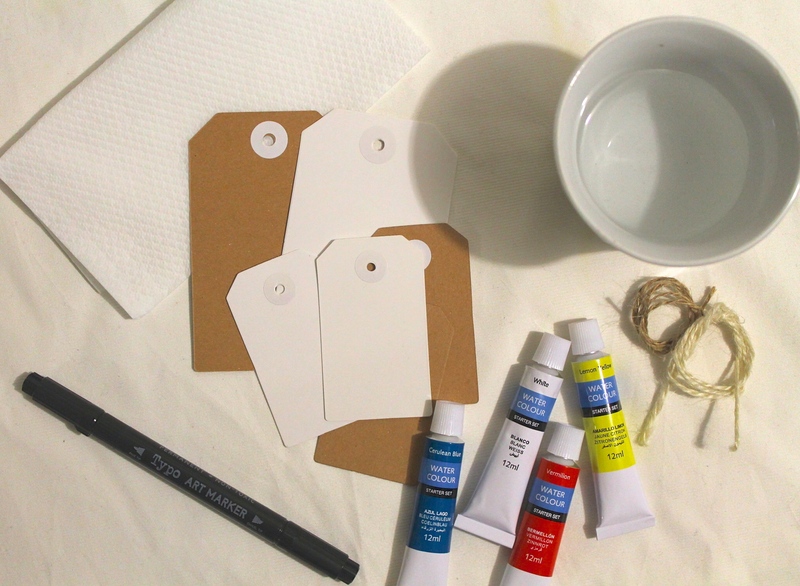 These are a super easy and fun DIY and they’ll come in handy whenever you’re running low on cards or if you want to spruce up a boring note. 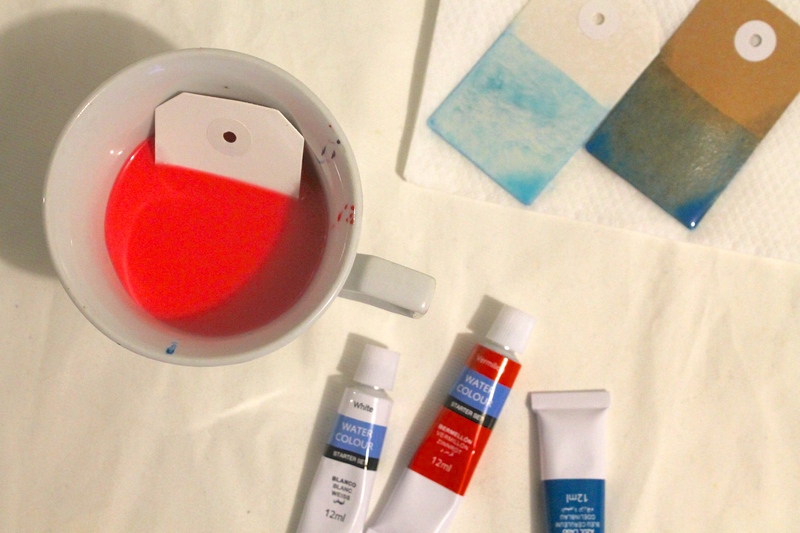 Squeeze some watercolor paint into your cup of water and stir until the color is very pigmented . 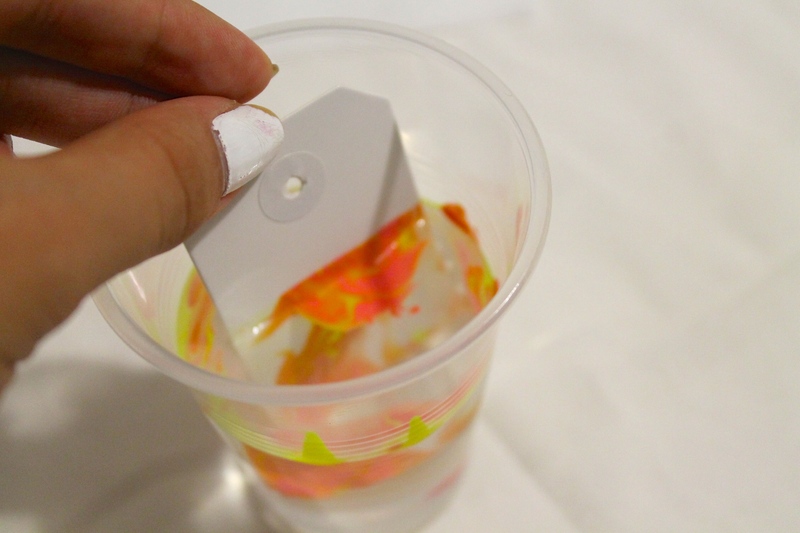 Let your Gift Tag rest inside the cup for 5-6 minutes. 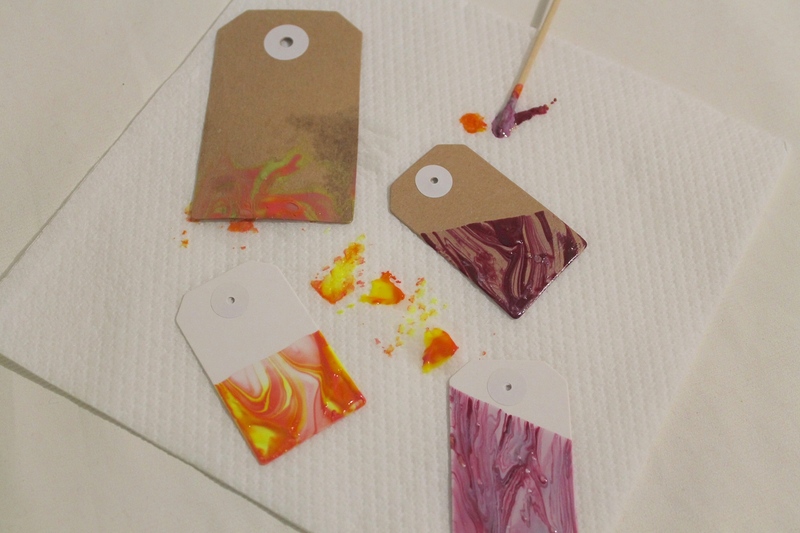 After you’re happy with the color on the tag, let it dry on a paper towel. 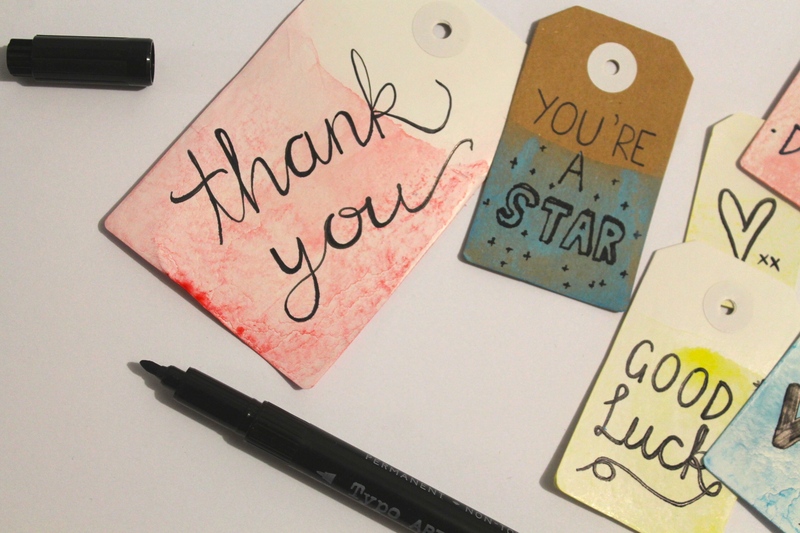 Once the tags are completely dry, you can take your pen or marker and write whatever message you want! 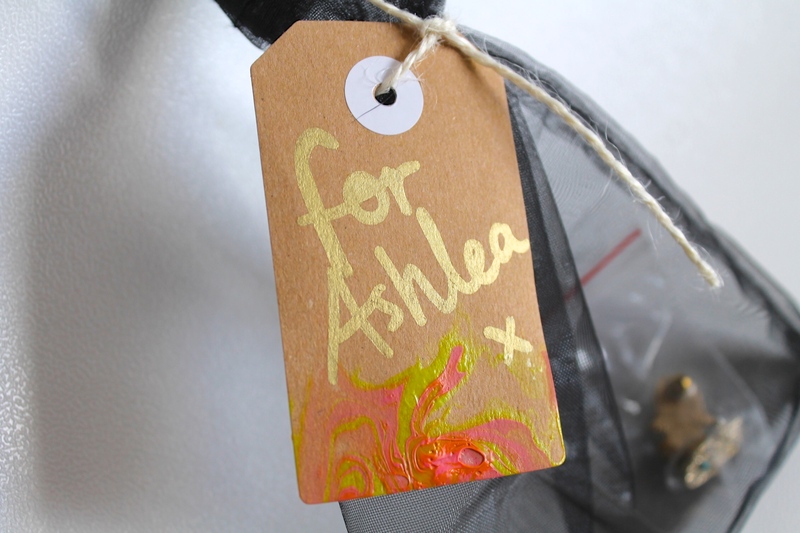 Then, tie some string to it and attach it to your gift to create a one-of-a-kind tag. 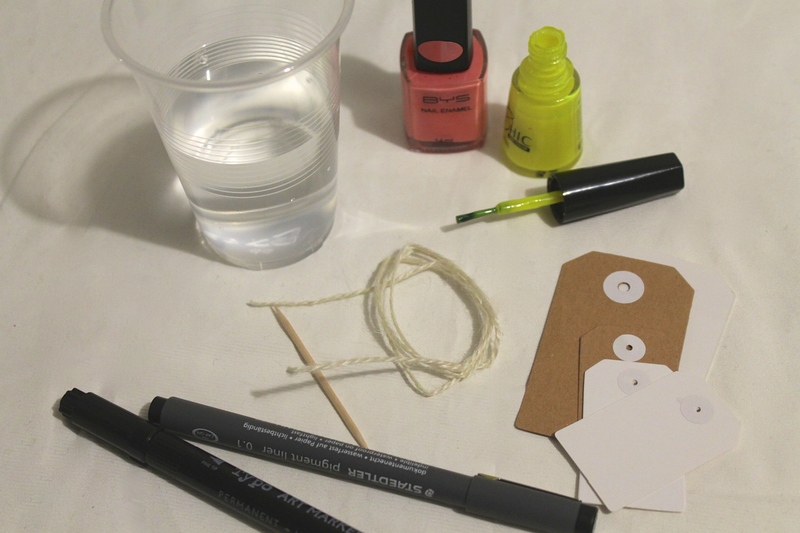 If you loved this DIY, click here for more and get busy!